After our first glimpse of the upcoming Gareth Edwards-directed Godzilla reboot, a new trailer emerges exploring the backstory of nuclear physicist Joseph Brody, played by Bryan Cranston. While we do get to see a little more of the monster itself, the focus remains on a species doomed against a looming threat they know next to nothing about. The Warner Bros. Pictures film stars also stars Aaron Taylor-Johnson, Ken Watanabe and Elizabeth Olsen, among others. Check out Godzilla when it arrives in theaters on May 16. Categories: Film, Links, Style, Tech, Video	Tags: Bryan Cranston, Film, Godzilla, Hollywood, Japan, Japanese, Kaiju, Ken Watanabe, movie, trailer, Warner Bros. Giving more context for one of the more anticipated movies of 2014, the trailer for the U.S. remake of Godzilla storms onto the internet shores today. Starring Bryan Cranston, Aaron Taylor-Johnson, Ken Watanabe and other all-star cast members, this rendition of the classic sci-fi thriller pits the purported expertise of science against an ineffable semi-natural force. Throughout the trailers, the monster is, thankfully, never fully revealed – adding to the suspense of its capacity to be controlled. Throughout all the mystery, its apparent that director Gareth Edwards held nothing back while crafting this film. Godzilla is due in theaters on May 16. The crew began shooting in Canada late last March. The film’s cast lineup includes Aaron Taylor-Johnson, Elizabeth Olsen, Ken Watanabe , David Strathairn, Bryan Cranston , Richard T. Jones, Juliette Binoche, and Sally Hawkins. 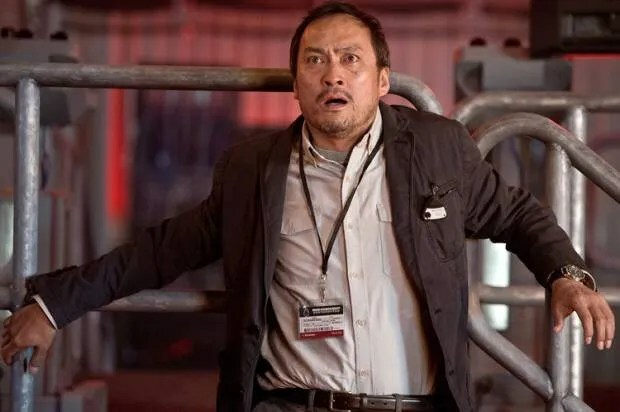 Akira Takarada, a veteran actor in the original 1954 film (as well as the sequels Mothra vs. Godzilla, Invasion of Astro-Monster, Godzilla Versus the Sea Monster , and Godzilla: Final Wars ), appeared on the set last March. First teased back in July of 2012 at San Diego Comic-Con with a buzzworthy poster and trailer – set to Oppenheimer’s eerie and now infamous recollection of 1945′s “Trinity” nuclear test – director Gareth Edwards’s 2014 Godzilla reboot has been blessed with its first “official” teaser trailer from Warner Bros. and Legendary Pictures. The highly anticipated Godzilla is due out on May 16, 2014. Check out the teaser trailer for the Gareth Edwards helmed remake of Godzilla, which has leaked onto the web… The trailer lingers over scenes of destruction with a voice over from J. Robert Oppenheimer, setting a bleak tone for the film. It’s fitting as the original Godzilla was closely related to Japan’s experience with nuclear weapons. As the so called ‘father of the atomic bomb’, Oppenheimer’s words are a chilling reminder of the potential horrors for the effects of nuclear weapons, and the fantasies that we pull from them. Godzilla is set to be released on May 16, 2014, and stars Aaron Taylor-Johnson, Bryan Cranston, Elizabeth Olsen, and Ken Watanabe.